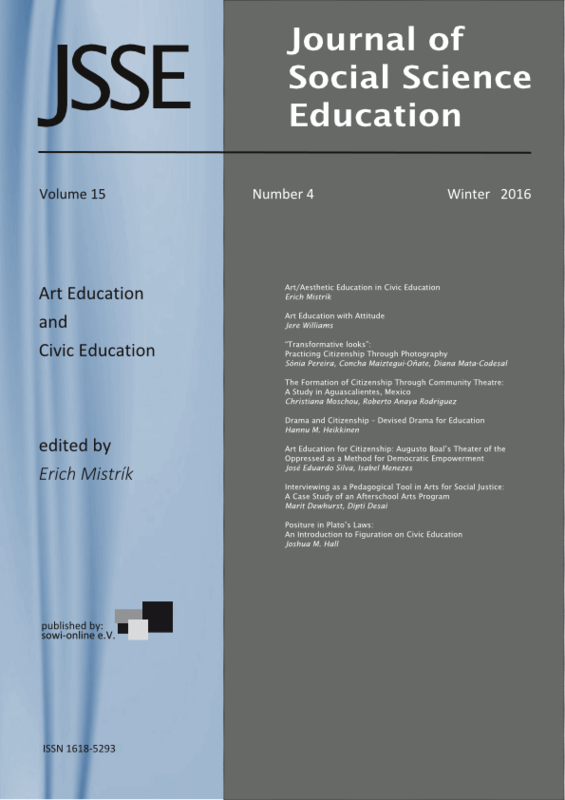 Purpose: This paper explores the way in which art education advances the goals of citizenship education. In the first section of this paper the similarities between ethical and aesthetic concepts will be outlined and the visual art symbol system will be carefully examined. Findings: It will be argued that the transference of a value-adaptive attitude developed through the study and practice of art to its application in civic literacy and engagement is valuable and warranted. The second section of this paper will investigate the impact that compositional study in both art practice and experience has on the reinforcement of and the alteration of values.